All over pony print hoody. 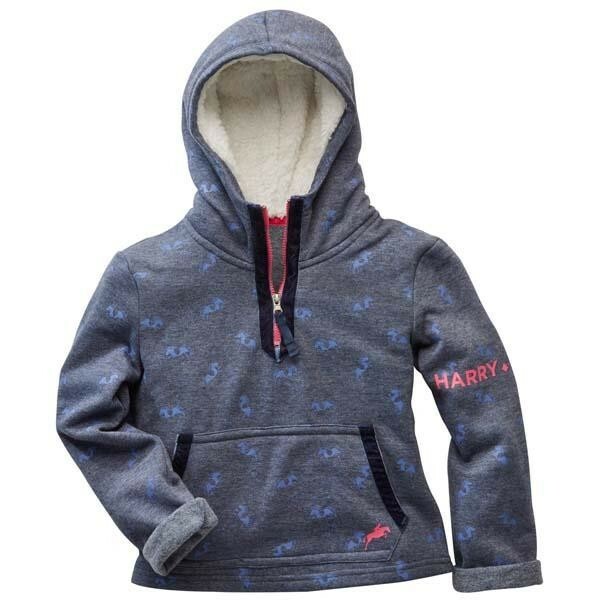 Super soft borg fleece lining in hood and kangaroo pocket. Velvet trim with contrast 3/4 centre front zip and prints.